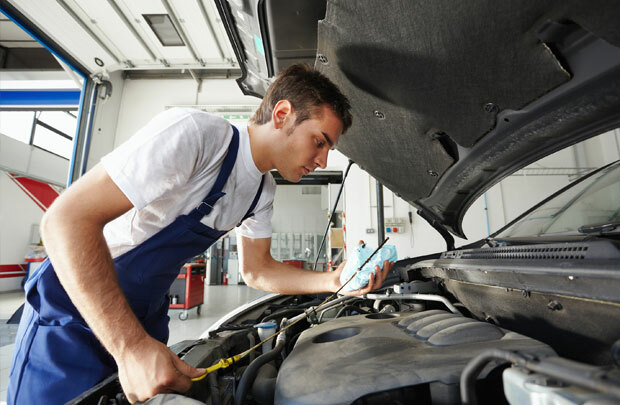 We recommend that vehicle owners service their car once every year or once every 12,000 miles, whichever comes sooner. It is our opinion that any vehicle on the road today should not exceed this schedule and contrary to what the manufacturers say we believe that all vehicles should have a visual inspection, at minimum, at least once a year. This is not a cheap tactic to get you in the garage every year its just a warning – the majority of faults that we see in the garage today mostly come from a poor maintenance program. I can assure you our way will definitely save you money in the long run. Servicing proactively maintains your car, reducing the risk of future failures and breakdowns. Even if its irregular the other bonus to servicing it certainly enhances the value of your car when you decide to sell it on. Here at Church Motor Company we try to keep things very simple to help you choose a service schedule that suits you. It is commonly known that our customers all have a different driving styles which effects the deterioration of the car. In every case we will discuss your needs and work with you to put together a service schedule which is right for you. We recommend that customers traveling less than 6,000 miles a year opt for low user service schedule having 1 full service once every third year. We would then advise to fill the gap by having a small services in between this time saving money but also benefiting from an inspection every year. Customers traveling in excess of the 6,000 miles a year would be advised to take advantage a full service once every other year having and a small service in between to fill the gap. This schedule is our personal favorite as promotes superb results with minimal failures due to neglect. This service schedule is really aimed at the commercially based clientele where maintenance and reliability is a critical part of their working agenda. This would include having a full service every year insuring nothing gets missed. A must have for the true motor enthusiast. 1. We offer car servicing, with parts to match the quality of the manufacturers original equipment plus a wide range of Mobil 1 approved lubricants. 2. As a Wurth Additives supplier we include a number of these flushes and additives within our service costs. 3. All Church Motor Company service technicians are fully trained in using the latest diagnostic computers to reset any service/maintenance lights that may appear warning you that a service is due. 4. The service schedule listed above cover the majority of checks included in most of the manufacturers service schedules. 5. Appointments available 6 days a week for complete convenience. 6. Any service items fitted by Church Motor Company automatically come with a 12 months parts and labour warranty. 7. All our prices include the environmental disposal of all components replaced. Call now to book or discuss your service.